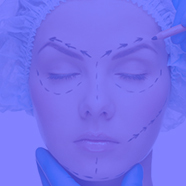 Dr Robert Chmielewski surgeon since 1998.Specialist in aesthetic medicine. 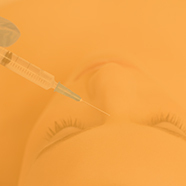 Member of the Polish Society of Aesthetic Medicine and Anti- Aging Polish Medical Association since 2002. Dr Robert Chmielewski is an author of innovative therapeutical protocols, which allow to achieve very effective, fast, longlasting and natural multilevel face (skin and deeper tisue) rejuvenation. Author of modern nonsurgical, natural and individualized face/neck/decolte lifting techniques like SMART Antiaging Network TM, Supporting Volumetry. Nonsurgical Antiravity lifting, BionutriLips ..etc using micro cannulas. Specialist in WAL liposuction, lipo-transfer connected with steam cells implementation.Inventor, racionalizator of low-aggressive innovative therapeutic technique refinement of therapeutic protocol Lipodemy of lower limbs, hips and abdomen.Lipodia, fatness, fat turnover, insulin resistance. Racionalizator i Co-author of Ultherapy and Jett Plasma medical protocols. Team Key Opinion Leader and trainer at Allergan,Teoxane,Croma,Vivaci,Hyalual, Filorga. Speaker at many Antiaging and Aestetic Medicine international congresses.Lecturer at the European Anti- Aging Training Center, author of numerous specialized articles, consultant and participant of TV shows "Dzien dobry TVN", "Pytanie na sniadanie", etc., where newest techniques in aesthethic medicine were presented. The foundation of my philosophy is to provide patients with a natural and individually tailored anti-aging treatment programme.